Washington – Several House Democrats announced Monday they plan to boycott President Donald Trump’s State of the Union address, but none of them are from Connecticut. All of Connecticut’s House members plan to attend Tuesday night’s speech to a joint session of Congress and the nation, and most are bringing guests who live or work in their districts and are involved in issues the lawmakers hold dear. 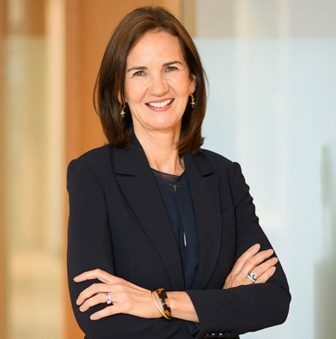 Rep. Rosa DeLauro, D-3rd District, for instance, has invited Deirdre Daly, the first woman to be appointed by a president to serve as Connecticut’s U.S. Attorney. DeLauro is a staunch defender of women’s rights and “paycheck fairness,” or efforts to reach parity in the pay of male and female workers. Rep. Joe Courtney, D-2nd District, will host Lt. 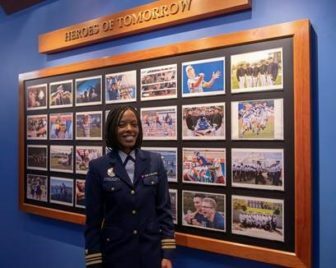 Commander Kimberly Young-McLear, an instructor at the U.S. Coast Guard Academy. According to the Department of Homeland Security’s inspector general, Young-McLear suffered retaliation after she made complaints about being the target of workplace bullying for years. Lt. Commander Kimberly Young-McLear will be Rep. Joe Courtney’s SOTU guest. “It is unacceptable that talented and compassionate individuals like Kimberly are subjected to toxic and hostile work environments while serving their country,” Courtney said. Courtney is one of several Democrats who are investigating allegations of racial discrimination at the academy. Rep. Jim Himes, D-4th District, has invited Lane Murdock, a Ridgefield high school student who organized a student walkout after the massacre at Marjory Stoneman Douglass High school in Florida last Valentine’s Day. After hearing of the mass shooting, Murdock came up with a plan for students to walk out of school in protest on April 20, 2018, the anniversary of the 1999 Columbine High School shooting. Like other Connecticut Democrats, Himes has been a vocal supporter of tougher federal gun laws. Rep. John Larson, D-1st District, who is trying to secure Republican support for his plan to reform the Social Security program, hasn’t invited anyone to the president’s speech. Instead, Larson has given his ticket for a constituent to sit in the House gallery to a Republican colleague who needed an extra ticket, which are in high demand. Rep. Jahana Hayes, D-5th District, has not announced who she is inviting. Her office did not respond to requests for that information. Connecticut’s senators announced their guests last week. Sen. Chris Murphy on Friday said he has invited Regina Moller, executive director of Noank Community Support Services, which cares for immigrant children, including those separated from their families at the U.S.-Mexico borders. Sen. Richard Blumenthal’s guest will be Gerry Wright, an advocate of Vietnam veterans who were exposed to toxic substances during their military service. Trump was originally scheduled to deliver the annual speech on Jan. 29, but Pelosi revoked his invitation during the latest government shutdown. White House aides say the president will give an “aspirational” speech Tuesday night, calling for bipartisan support in Congress on initiatives that focus on infrastructure and health care. The president is also expected to return to old themes, including the need for tougher immigration enforcement and the need to confront China on trade. Trump is also expected to call for the United States to actively intervene in Venezuela, which is suffering from economic chaos that has strengthened opposition to its government. The president is also likely to tout the strength of the nation’s economy and may hint that he will use his emergency powers to seek funding for a wall along the U.S. Mexico border outside of Congress.